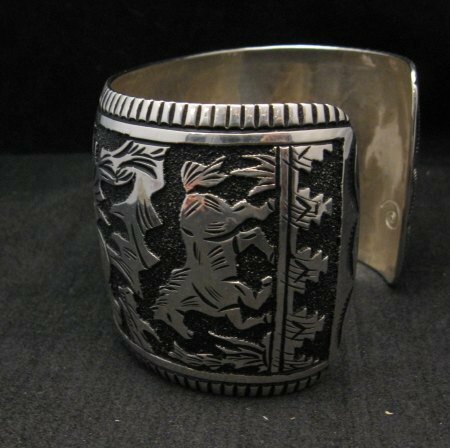 This extra wide Native American Horse Storyteller sterling silver overlay bracelet was created by Richard Singer, son of world famous Navajo silversmith Thomas Singer. 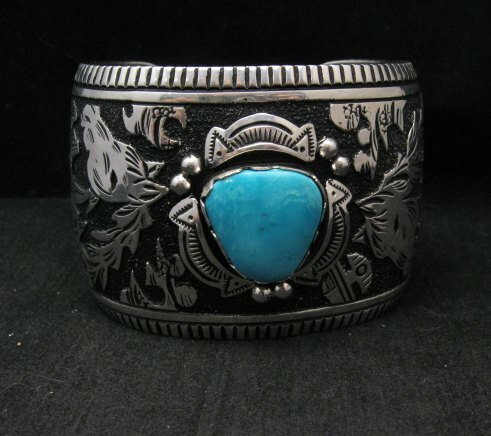 The 2 inch wide bracelet features several horse figures on either side of the center turquoise stone. About Robert Singer: Robert Singer works in a variety of styles including the Silver Overlay technique, made famous by his father, Tommy Singer. 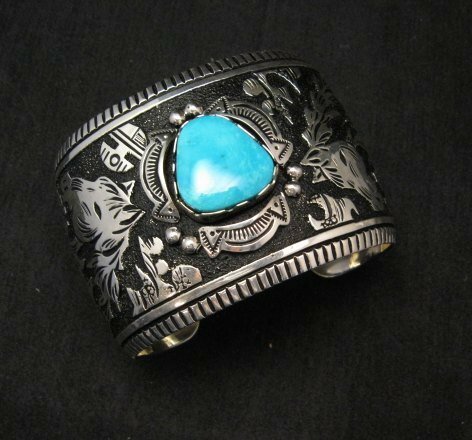 About Silver Overlay Jewelry: Overlay is a process of soldering one piece of silver, from which a design has been cut, over another piece of silver. 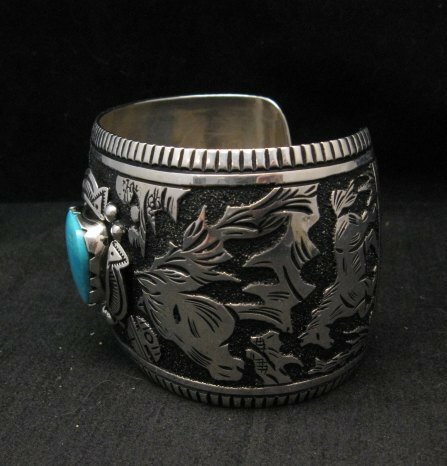 The top layer is a handmade, hand cut overlay created from a sheet of sterling that is then bonded to the base layer of sterling. The base layer background is usually oxidized, which turns the silver surface black, and is often scratched or stamped. The oxidation brings out a contrast between the two pieces and makes the individual designs more visible. 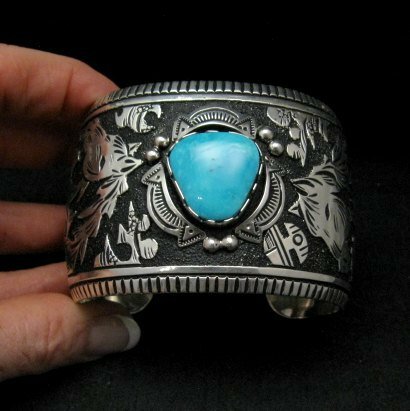 This technique remains characteristic of the Hopi Indians, although several well regarded Navajo silversmiths use it too. 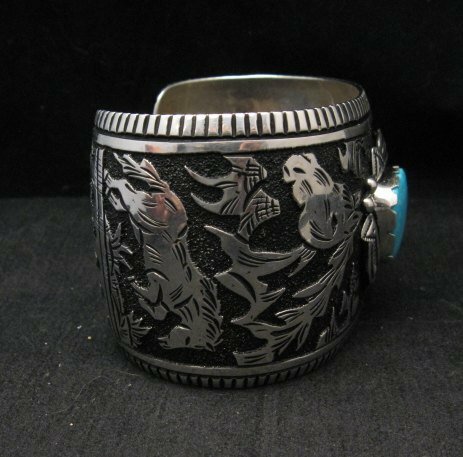 Tommy Singer, the Becenti brothers and Everett & Mary Teller are examples of Navajo artists who do overlay work with distinctive and recognizable styles.